Find out why we’ve been voted best yoga program 9 times! Your daily prescription for reducing pain, and stress while building muscle tone and strength. Experience the transformational healing effects of a REAL Hot Yoga class. not practiced in a year or more. 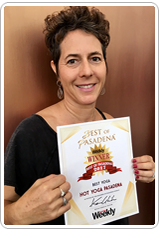 My name is Val Sklar Robinson, and I want to personally welcome you to Hot Yoga Pasadena. I opened this studio almost 20 years ago because this yoga transformed my life by reducing my arthritic pain, improving my strength and muscle tone, relieving my stress and because it made me feel and live better. Most of my clients will tell you the same. If you are ready to start your own journey to better overall health, you have found the right place. 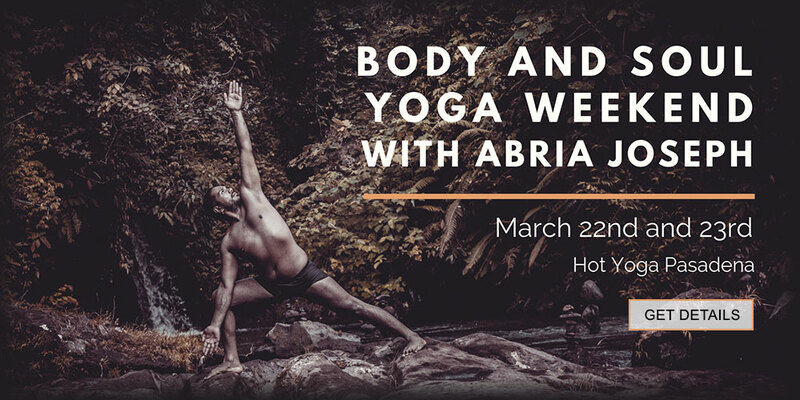 Come and try our Introductory Unlimited Two Weeks so you can see for yourself how a month of this yoga can improve your life for the better! Our highly trained teachers are here to guide you through every class to ensure that you are gaining the maximum benefits and taking class at your own pace. 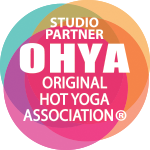 We offer Original Hot Yoga (26 and 2) 90 minute Hot Yoga class, and a 60 minute express version. We also offer a Hot Sculpt class meant to improve your strength and to supplement and complement the yoga. See our schedule to see which class times fit best in your schedule. .
Our New Student page has all the tips and tricks to prepare you to have a great class. Watch our welcome video to see a glimpse into our dedicated and diverse community. Even after 20 years of teaching and practicing this specific system of yoga, I am still here every day doing what I love, and that’s to make sure you have the best experience possible and have the support you need on your journey to feel and live better. I hope to meet you around the studio or to see you in the Hot Room. Reach out to me anytime at info@hotyogapasadena.com with any questions. I also want you to know that 100% of your investment stays in the studio; we don’t pay any affiliation or franchise fees to anyone. If you want to learn more about my journey and experience or to learn more about my YogiVal Preteen Yoga For Girls, please go to yogival.com. Dena Jackson after 2 1/2 years!